Spicy and sweet, these pecans are an easy treat. My husband and I whipped these up in just a few minutes after dinner tonight. 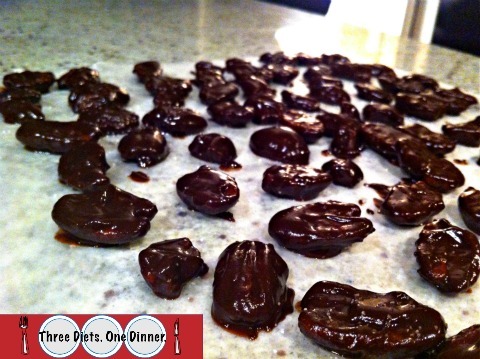 They are a great snack that won't derail your paleo efforts. Enjoy! Preheat oven to 425º and line a sheet pan with foil. In a medium bowl, combine the pecans and butter. Add salt, cinnamon and cayenne and stir to combine. 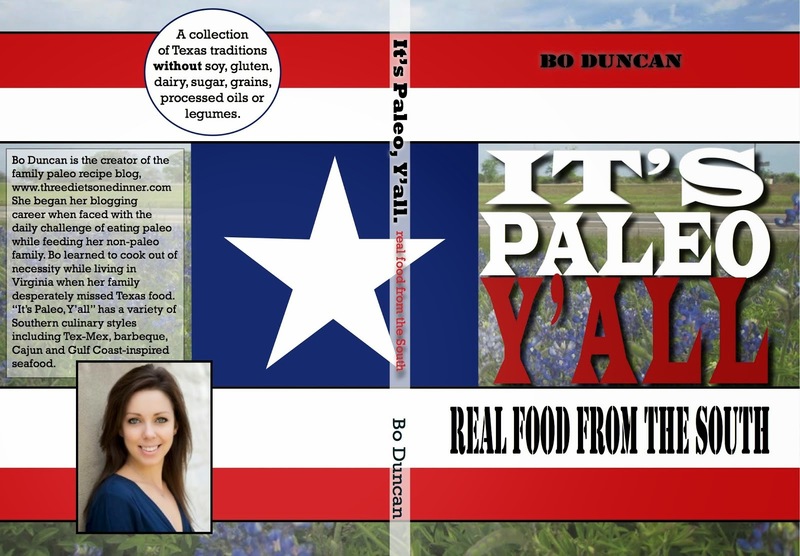 Spread pecans in an even layer on the foil and bake for exactly 6 minutes. Meanwhile, melt chocolate in a double boiler with the coconut oil, stirring often until smooth. Remove from heat and stir in cream until smooth. Add the pecans to the bowl and stir to coat. 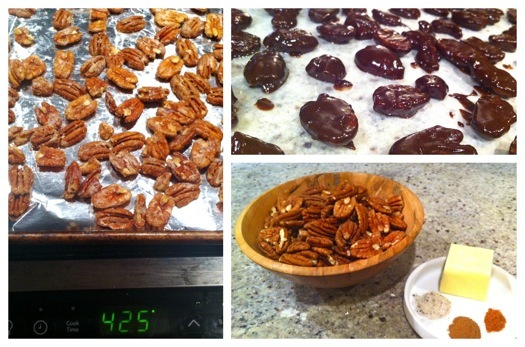 Dry the pecans on wax paper and sprinkle with more sea salt. Store in the freezer. What a great idea for a food blog! These look yummy - I love chocolate and I love pecans!